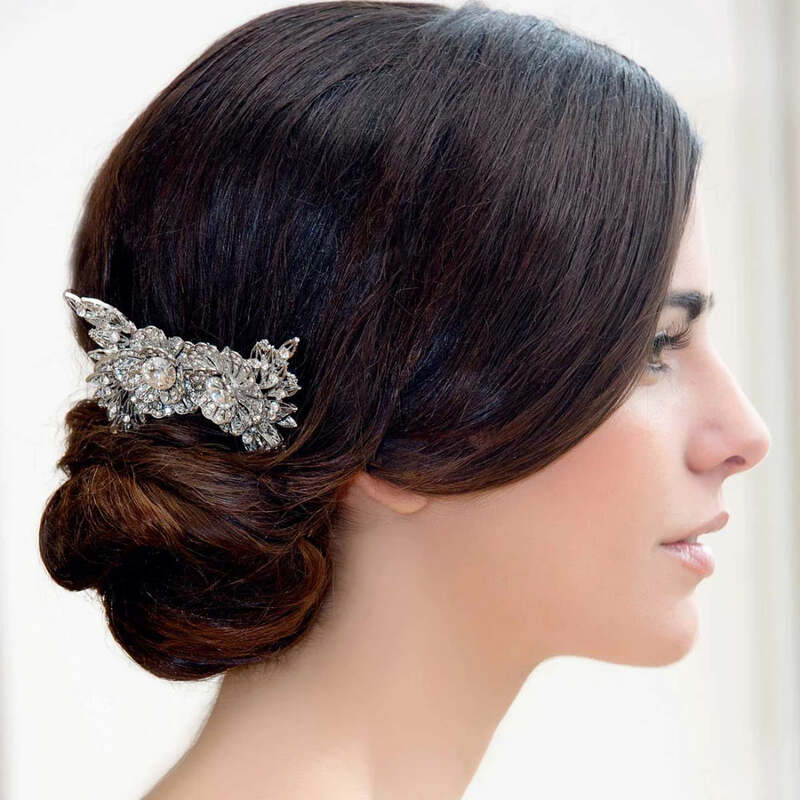 Full of 1940s these crystal floral hair pins are beautiful and enchanting. 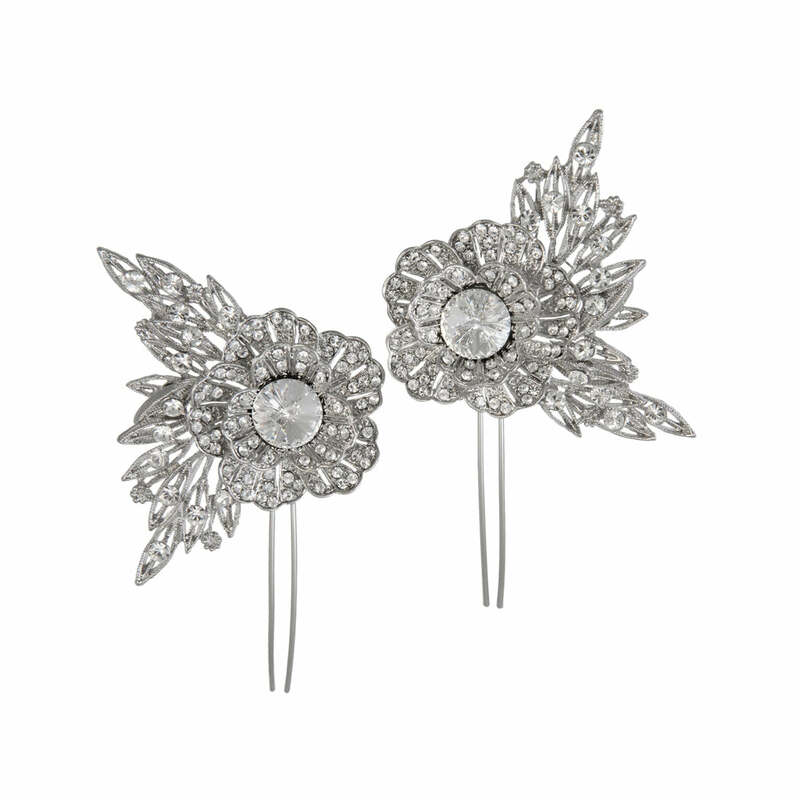 Romantic, feminine and with vintage glamour, our Vintage Blooms Hair Pins are exquisite. Featuring a layered flower with a side leaf adornment, these pretty pins are studded with sparkling clear Austrian crystals. For authentic vintage style, the side leaves of each pin are set at different heights. Beautiful bridal hair pins for brides who adore vintage wedding hair accessories, wear clustered together in a loose side chignon or either side of an elegant high bun. Coordinate with simple crystal bridal earrings and a delicate bracelet for a classic look for your special day.